There were a whole lot of reasons why I was an evangelist for the indie revolution. Just making sure that game developers had a reasonable path to create and distribute their creations without having to go through the giant gatekeepers was a big one. Reducing the barriers to entry was huge. But there was another reason. In the relationship between studios and publishers, I knew the studios were getting screwed. Not being a biz guy, I didn’t know all the details, but I knew some of the general terms I heard sounded unfair. I read an article a little while ago that illustrated that those terms were actually some of the most fair language in those contracts – the real screws they put to studios were buried and seemed innocuous. 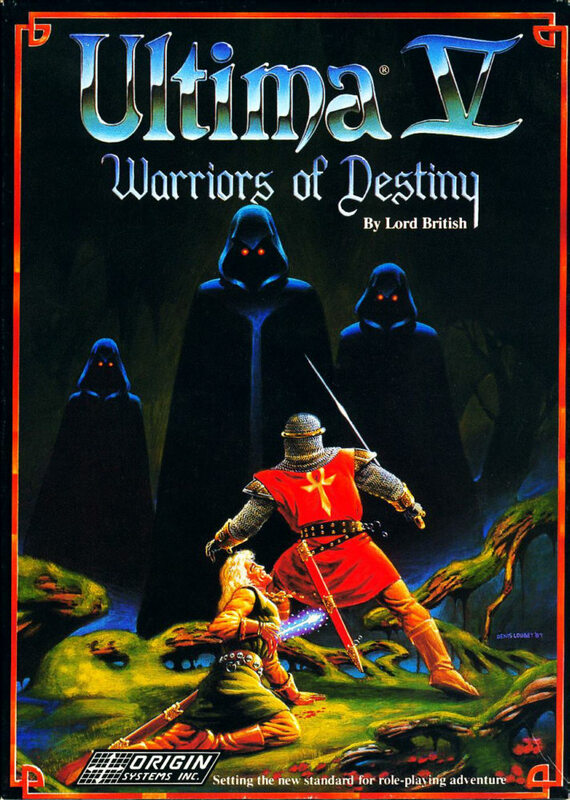 I knew about the poor relationship between Electronic Arts and Origin – the bad blood was even turned into jokes inside a couple of the Ultima games. But the true nature of the feud was obscured behind NDAs and, eventually, the forgetfulness of history. Fortunately, unearthed in some records of another company, the Digital Antiquarian has uncovered just how nasty stuff could really get.. and how a company like EA would use their power and secret “bombs” in their contracts to crush those who wouldn’t fall in line. Now, to be fair, in this case, it really did take two to tango. Both sides were, IMO, not behaving particularly well. I don’t really have a problem with the contract having methods for both parties to protect themselves. My problem has always been more of the inequality of the relationship. In the “bad old days,” might (measured in dollars) made right, and the publishers ran all of the tables. In this case, EA sought to trap them via returns. This is an issue in book publishing and apparently with games back in the 1980s (still? ), where a retail shop can return unsold stock for a refund. There are weird side-effects to this one, because it means that (obviously!) a distributor or publisher can dictate limits to the number of copies a retailer can have. They’d have that ability anyway, but in this case the exercise of it becomes commonplace, and has often been used to “punish” retailers who have done things like break street dates. By the agreement, EA sought to exercise it’s contract option by demanding product from Origin (which they knew wouldn’t sell) – which meant a big cost for duplication and manufacturing on Origin’s side. Then Origin was also on the hook to pay the cost of returns as well. In effect, they were trying to force Origin to bankrupt itself. If they’d succeeded, the whole Origin story would have ended at Ultima IV. No Ultima V, or VII. No Wing Commander. No Ultima Underworld. Fortunately, Origin had found a protector in the form of another publisher, Brøderbund. My point here this isn’t really to paint to EA is the villain here. There is undoubtedly a whole lot more to the story, and who turned out to be the biggest jerk in this relationship is probably a matter of perspective. Ultimately (no pun intended), the two companies kissed and made up, and then Origin was promptly run into the ground for reasons that can be distributed generously to both parties. The point here is to illustrate just why we so desperately needed the indie revolution… in music, film, print, and games. While there have always been avenues for the entrepreneur to take to bypass the big gatekeepers, they have always been difficult to begin with, and they tend to get squeezed even harder once these gatekeepers start consolidating their power. In Akalabeth‘s day, Richard Garriott could just sell directly to local computer stores. Just a few years later, the distributors had the stores locked up pretty tight: you couldn’t sell without a big publisher / distributor. This put a lot of power in the hands of these middlemen. Too much. Today there is always an option to go without a publisher. There are two benefits from this. The first is the obvious: Creators don’t need to bow to the gatekeepers, and don’t need to accept their terms. They can go it alone and have a reasonable path to do so successfully. It’s still fraught with peril and doubt — there are never any guarantees — but it’s a viable option. There is a potential secondary benefit to this as well, which I am not in a position to really see whether or not it is happening (but I hear rumors that suggest that it is *to a degree*). This has given independent studios some real leverage in negotiations. They have a lot more opportunity to say “no” to a deal. This means publishers can’t afford to play quite such hardball with their contracts anymore… it’s not a case of studios having few alternatives anymore. This puts pressure on the publishers to make things at least slightly more equitable. So… for all the frustrations people may have about the glut of crap that hits the market hiding the good stuff, just remember that it still beats the alternative in a lot of ways.